A fluid filled nodule reoccurs after being drained once or twice. 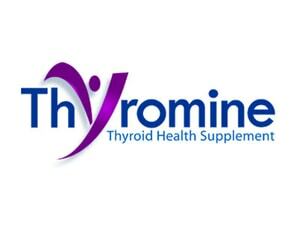 Hyperthyroidism cannot be treated with radioactive iodine and other medicines. 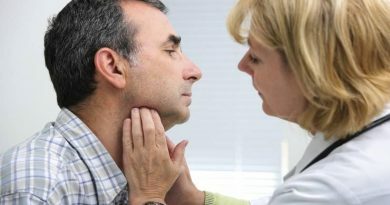 A thyroid cancer is suspected or benign(noncancerous). A noncancerous or benign nodule is large enough to cause problems with swallowing or breathing. There are types of thyroid surgery that is used to treat thyroid problems. One is total thyroidectomy which is a surgical process that removes the entire thyroid gland and the lymph nodes surrounding the thyroid gland. There is also thyroid lobectomy with or without isthmectomy. Lobectomy means removing only one lobe. In instances that the thyroid nodules are only found in one lobe, surgeons will only remove one lobe thus a patient will undergo lobectomy with isthmectomy. However in instances that thyroid nodules are found in two lobes, lobectomy with isthmectomy is done. Lobectomy with isthmectomy is the process where in the narrow band of tissues that connect the two lobes are removed. There is also a thyroid surgery that is called subtotal thyroidectomy. This is a surgical process that removes one complete lobe; the isthmus and the part of the other lobe. Lastly, there’s endoscopic thyroidectomy. This surgical process involves removal of the small cysts or single small nodules that are benign or non cancerous or removal of the entire thyroid gland. After the thyroid surgery, many people leave the hospital after a few days. The days spent being the hospital, the treatments and recovery all depends on an individual’s age, general health, extent of the surgery and if whether cancer is present. Most doctors also recommend bed rest on the first day after the thyroid surgery. Doctors will also suggest to start moving thereafter. If patient is still hospitalized, intravenous nutrition is preferred as swallowing and eating may be difficult. If at home, liquid or soft diets are highly recommended until swallowing and chewing becomes comfortable. Just like any other operation, the body needs time to recover. The wound needs time to heal also. One must not lift heavy objects for about two weeks after the operation to avoid any strain on the neck wound. Most people are able to return two work two weeks after surgery. This will also depend on how strenuous one’s job is. Thyroid surgery recovery also depends on an individual’s age, general health and extent of the surgery. A thyroid surgery is generally a safe surgery. But just like any other surgeries, there is also a risk of complications. These complications include hoarseness and change of voice. The thyroid surgery can damage the nerves that control the voice. This can be prevented though if the surgeon is experienced or if the patient is undergoing lobectomy rather than total thyroidectomy. Another thyroid surgery complication can be hypoparathyroidism. This may occur if the parathyroid glands are accidentally removed during total thyroidectomy. A patient may not face this complication if thyroid surgery is just lobectomy. 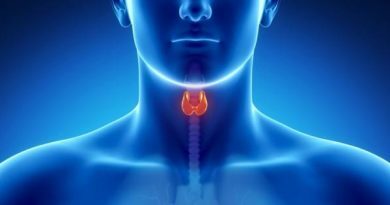 There are also other thyroid surgery complications that an individual may face, such as the need for calcium replacement if the parathyroid gland had been removed and thyroid hormone replacement if the thyroid gland had been completely removed. One may also get an infection in the wound.